AJAC President Michel Deslauriers said that shortening TestFest will simplify the logistics. The Canadian Car and Utility of the Year awards program — under fire by some automakers last year for costs and declining value — has undergone a dramatic revision that’s gaining favorable reviews. The program, also known as TestFest, is put on by the Automobile Journalists Association of Canada (AJAC). It was first held as a two-day event in 1985. By 2005 it had grown to five days with automakers paying up to $10,000 per vehicle model entered. They also had to provide three of each vehicle entered for testing as well as staff and facilities onsite for the duration of the event. For the 2016 TestFest, which evaluated 2017 model-year vehicles, the budget had ballooned to $500,000,almost all covered by automaker entry fees. Some automakers, led by General Motors, questioned the value of participation. In a story in November’s Automotive News Canada, GM Canada spokesman George Saratlic suggested that news coverage was falling off. “I might be exposing my product to 70 journalists, but it’s not like I’m seeing 70 stories.” Nissan, Honda and Jaguar Land Rover pulled out for 2016, while Maserati entered for the first time. Only vehicles that were new or significantly improved for the following model year were eligible. As well to qualify, they had to be available at TestFest for evaluation. In response, AJAC will cut the 2017 program — to be held in October at Canadian Tire Motorsports Park 90 kilometres east of Toronto — to two days, with entry fees now waived and journalists eligible to vote on cars they’ve driven throughout the year, including those on manufacturer ride-and-drive events. 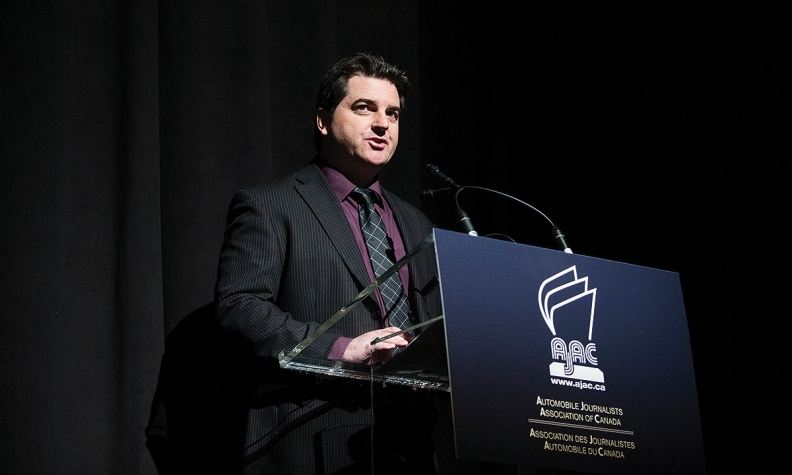 Michel Deslauriers, president of AJAC, said that by dropping three days from the event, hotel fees, track rental fees, fuel, catering and other costs will be dramatically reduced. Automakers have agreed to increase their AJAC membership dues to pay for the program, the organization said in a note to members. GM’s Saratlic hailed the moves. “I think as a manufacturer member, we applaud the changes,” he said. Hyundai Canada spokesman Chad Heard disagreed with many of last year’s complaints about TestFest, but favours the changes, in particular the inclusion of year-round testing and for previous-year finalists to compete in the following year’s competition. “Someone driving in Quebec in February is going to have a different experience than some- one driving in Vancouver in July,” he said. “So I like that perspective, and I like the idea of opening it up” to last year’s winners.